Our patented and most popular storage rack, and for good reason - it's our top of the line! 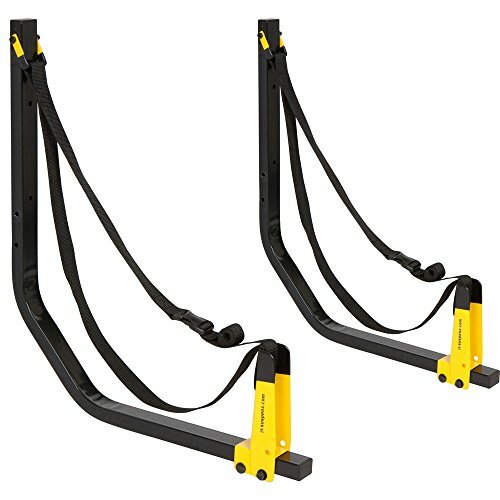 Features our convenient load-assist pivot arm for easy one person loading and unloading. Your boat or board NEVER touches a hard surface and always remains suspended on our nylon webbing straps for the ultimate in protection from pressure points which often cause dents and general hull distortion.